Indigenous values, beliefs, and customs of the Cayuga, Mohawk and Ojibwe languages, through the study of written and spoken forms. Understanding Indigenous knowledge systems and world views through spirituality, the arts, governance, and traditional ecological knowledge. Contemporary Indigenous relations in Canada as expressed through gender, rights, socio-economic policy, and the justice system. Indigenous approaches to health and well-being, including how Canadian health policy impacts Indigenous communities. Chelsea Gabel says education, advocacy and above all, forging strong relationships built on trust are vital parts of her research into how digital technology can help Indigenous communities move toward self-determination. Ten researchers from McMaster’s Faculty of Social Sciences have been awarded a total of $478,661 in funding through the federal government’s Social Sciences and Humanities Research Council. The funding is being awarded through Insight Development Grants. Our Indigenous Studies Program brings the richness and depth of Indigenous knowledge and cultures to the classroom. 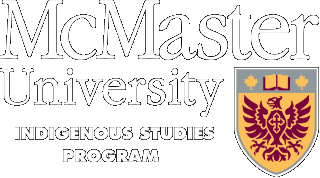 The program, designed for both Indigenous and non-Indigenous students, allows students to explore the intellectual traditions of many Indigenous peoples, with an emphasis on the Haudenosaunee and Anishinaabe of southern Ontario. Students will increase their understanding, awareness, and respect for Indigenous knowledge, spirituality, and social/political experience. Students are able to complete a Combined Degree in Indigenous Studies that consists of 30 units of Indigenous Studies courses. Completed using available elective credits from an Honours Degree in another subject.